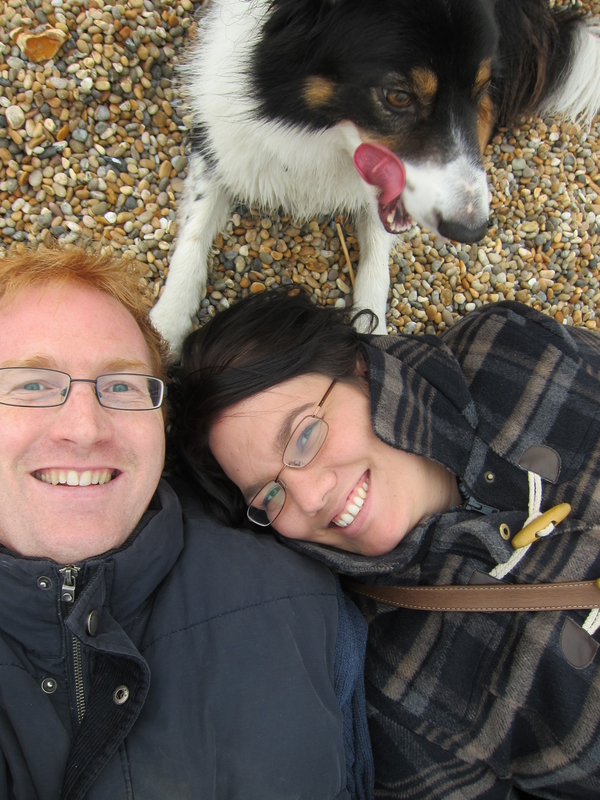 Me, Mike and Murphy on Chesil Beach November 2013. Welcome to my blog. I am Anna Morris, I am 35, I live in Wales with my husband, Mike and our dog and 2 cats. In my blog I review books I have read this year and make book themed lists. I love to read and can barely get into my house for all the books I have (and still I buy more!). Read some more bookish facts about me here. Hope you enjoy my thoughts! Hello, enjoyed your review I am always on the lookout for good books to read! Hope you enjoy my reviews too. Anna, you have a lovely blog. Best of luck with your goals and thanks for finding mine (FrayedDustjackets). Hope you’ll be back to visit! Thanks very much for the follow! I’m looking forward to reading your reviews. Hi Anna, thanks for the follow on prelovedbooksblog.com where I have an unhealthy interest in crime novels! Looking forward to seeing your reviews – always glad to come across another reader across the Irish Sea. Until I saw that cute picture of you and your husband on Chesil Beach, I never realized there really is a Chesil Beach. (Never heard of it except that it’s the title of an Ian McEwan novel — I guess I assumed he’d made it up.) Thanks for the enlightenment! Yes, it’s a really strange long shingle bank that is almost cut-off from the mainland. It’s really interesting but difficult to walk along! Hi, thanks for stopping by and following! Started following you! Have a great day! Hi thank for following us over at Great (Reading) Expectations! We’d love to hear from you in the comments (maybe because we said Eleanor and Park was only average in Top Ten Tuesday :s). You’re reviews are excellent we will be following back! I appreciate the visit to my blog. I hope you get a chance to read my book, “The Chocolate Bar”, my Memoir of what life was like growing up, while World War ll was happening all around me. I’m a survivor of that war. When I came to America I thought the war was over, but domestic abuse took over…..
First of all I want to say thank you so much for following my blog. And I want to tell you that I took the liberty and nominated your blog for a Liebster award. If you want to accept and to learn more, you can go here: http://unendingreverie.wordpress.com/2014/07/06/the-liebster-award/. Thank you! Thanks, that’s very kind. Sorry not to reply sooner, I’ve been away for a few days and not looking at WordPress. I realize you probably have more than 200 followers, but I wasn’t sure how to check and I love your blog so much! Sorry also if you’ve gotten it before. Can’t wait for your answers!